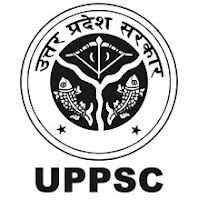 The Uttar Pradesh Public Service Commission is the state agency authorized to conduct the Civil Services Examination for entry-level appointments to the various Civil Services of Uttar Pradesh. Combined State Upper Subordinate Services: Applicants must possess Bachelor Degree in any stream from a recognized University. Assistant Conservator of Forest: Applicants must possess Graduation Degree with at least one of the subjects Botany/ Zoology/ Chemistry/ Physics/ Mathematics/ geology/ Forestry/ Statistics or Graduation with Agriculture or Engineering. Range Forest Officer: Applicants must possess Graduation Degree with at least two or more of the subjects Botany/ Zoology/ Chemistry/ Physics/ Mathematics/ Geology/ Forestry/ Statistics/Horticulture and Environment or Graduation with Agriculture or Engineering.